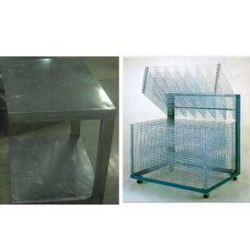 Offering you a complete choice of products which include containment rooms, air handling unit fabrication, stainless steel fabrication and stainless steel table fabrication. We are the largest exporter and suppliers of Containment Rooms in India. The offered containers are developed by skilled professionals making use of high-grade raw materials which we purchase from certified vendors of the market. 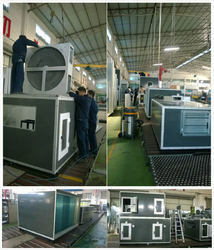 High-tech machines and latest equipments are used to develop these containers in adherence to the set industry norms. We undertake bulk orders from our clients with an assurance of safe and prompt delivery. With the assistance of our competent professionals and latest technology, we are able to provide fabrication services for Air Handling Unit. 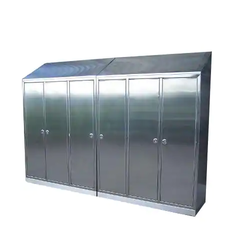 In order to ensure superior quality standards, our team of experts develops this trolley under strict manufacturing process.This AHU is widely used in logistics companies, railway and other heavy duty industries. Further, our fabricated trolley is incredible due to the features like maximum lifting capacity, maximum lifting height, easy movement and handling and no maintenance cost. We are proud to introduce ourselves as one of the leading service providers engaged in offering Stainless Steel Fabrication services to our valued clients. 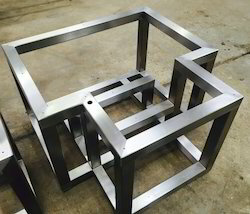 We are offering Stainless Steel Fabrication at reasonable prices. We are offering of Stainless Steel Table Fabrication.The Stainless Steel Table Fabrication that we offer is widely appreciated for timely completion and is planned as per the budgetary constraints of our clients.